Mattson 2 is a jazz/rock duo. Jonathan and Jared Mattson have been long time friends, we've known each other since we were in our youth. Over the years I've had a great pleasure to work with them on various different projects. 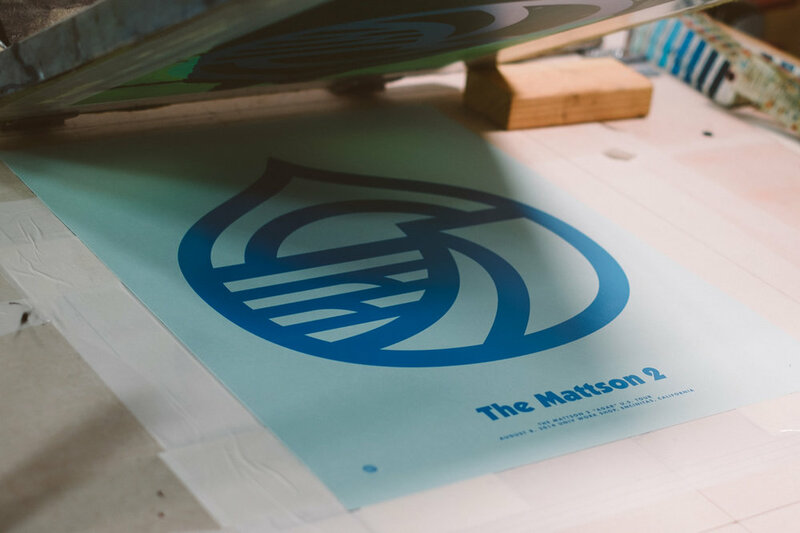 If you could soundtrack the jangle of the sea and the jazz of the surf, The Mattson 2 would most certainly be the composers. The identical twin guitar and drums duo are truly a marvel of jazz-rock orchestration and arrangement. The duo shimmers and shakes with the soaring modern wizardry of Jared Mattson's untamed, layered guitars and Jonathan Mattson's tribal jazz hard- bop drumming. They channel the gorgeously hypnotic gods of surf, sun, and neon-punk-jazz of our modern universe, evoking evolved realms of experimentalism, rhythm, and story. The identical twin’s deep telepathic kinship navigates colorful forms of beautiful weirdness and exotic landscapes of layered improvisation, transcending the concept of modern musical performance. They've always given me freedom with their show posters and it's been great working on them. This is just a selection of flyers and design's that I've worked on in the last couple of years. They've always given me freedom with their show posters and it's been great working on them. This is just a selection of flyers that I've designed on in the last couple of years.